How do I Choose the Best Treatment for a Swollen Ankle? A person with a swollen ankle. The best treatment for a swollen ankle depends on the cause. 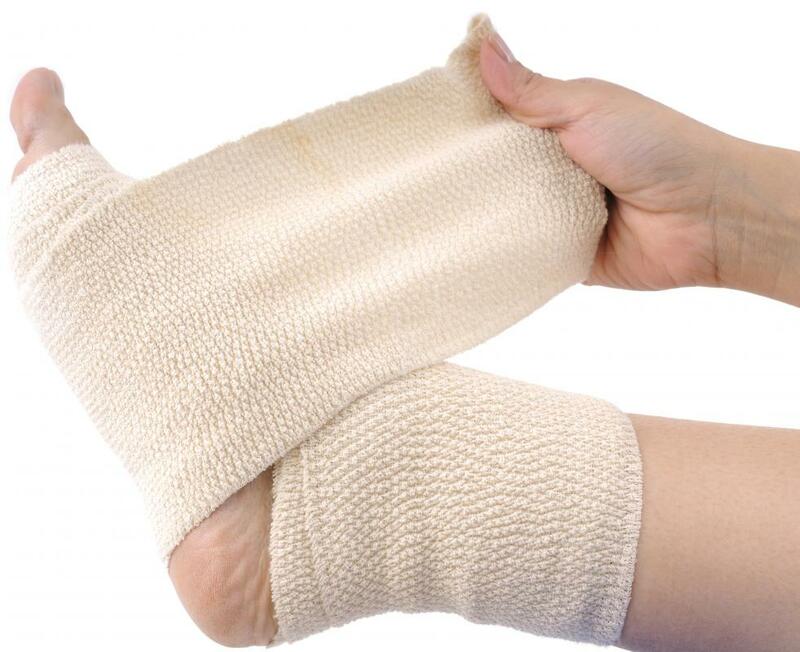 Elastic bandages can help support swollen ankles. Swelling from an injury usually improves with ice and elevation. If your ankle is suddenly swollen, you should try to determine the cause before deciding on the best treatment. 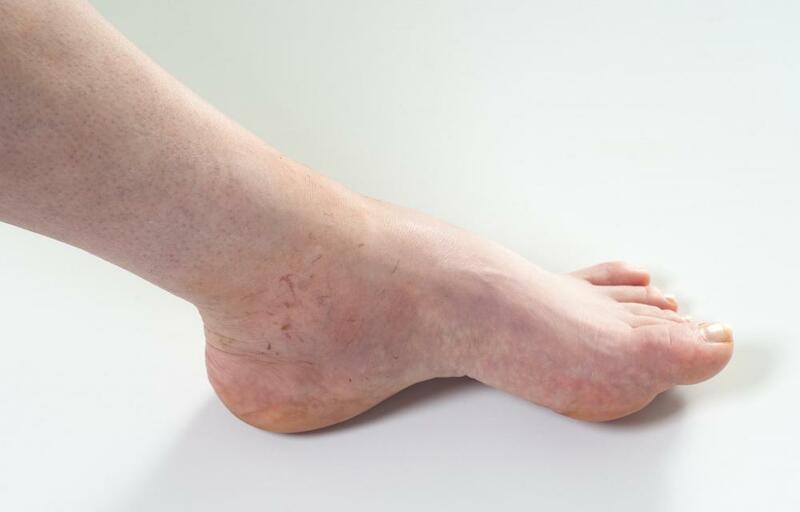 One common condition is edema, or fluid retention, which can usually be treated by decreasing salt intake, elevating the ankle above heart level, drinking lots of water, and getting light exercise. On the other hand, swelling may be caused by an ankle injury, such as a sprain. 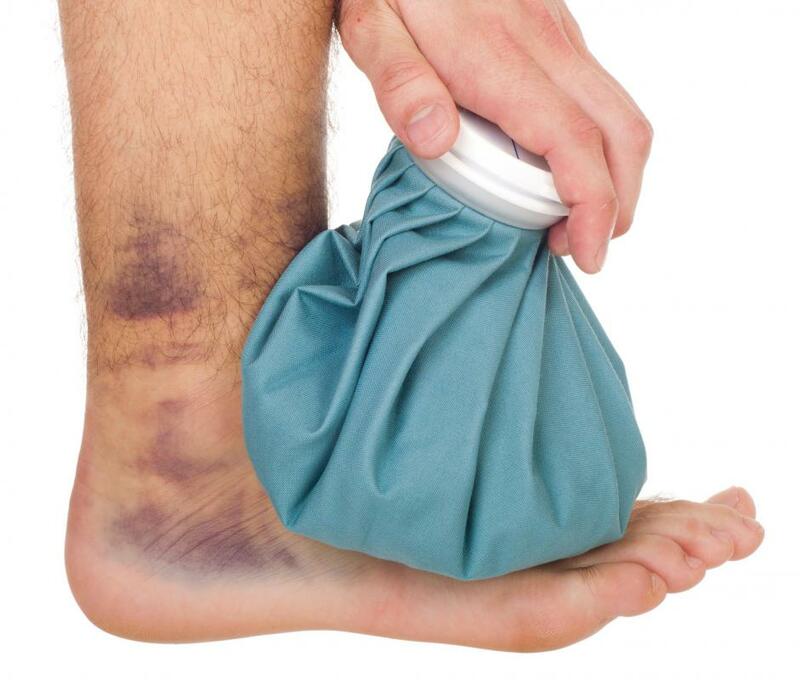 The best treatment for a swollen ankle that is caused by a sprain typically includes cold compresses, elevation above the heart level, a tight bandage, and rest. In most cases of edema, both ankles are swollen, along with the feet and lower legs. This means that if you do not remember injuring your ankles, and the swelling is in both feet, the issue is likely excess fluid. One of the best ways to find the ideal treatment for a swollen ankle is to consider what might be causing it. For example, excessive salt intake, laxatives, certain drugs, diuretics, and birth control pills often cause the issue, which means that discontinuing these products can typically solve the edema. It may also be a sign of an allergic reaction or neuromuscular disorder, so if you also experience high blood pressure, headaches, puffy eyes, and excessive urination, see a doctor to pinpoint and treat the underlying issue. Most types of treatment for a swollen ankle can be completed at home, which is ideal if you are on a budget. For example, keeping the ankles elevated above the heart level is a common way to reduce swelling, and can be done by using a reclining chair or putting pillows or leg wedges under the ankles when you sleep at night. You should also increase your water intake so that your body flushes out fluids properly, and as salt causes your body to retain water, you should decrease your intake of salty foods. Finally, you should incorporate light exercise into your routine, such as walking regularly, as sitting or standing in one spot for too long can cause fluids to build up in the feet and ankles. If you injured your ankle recently, and only one is swollen, it may be sprained. In this case, one type of treatment for a swollen ankle is applying cold compresses to the area for a few minutes, several times a day. Like the treatment for edema, ankle elevation is a good idea to reduce swelling, though you should follow it up with rest rather than light exercise when trying to heal a sprained ankle. Another common treatment for a swollen ankle that has been sprained is to wrap a stretchy bandage over it for support, especially when you start walking on it again. If it does not get better quickly, however, or if the pain and swelling get worse, getting medical attention is important. What are the Best Natural Sprained Ankle Remedies? Is It Normal to Have a Swollen Ankle During Pregnancy? How do I Choose the Best Swollen Feet Treatment? What are the Most Common Causes of a Swollen Ankle?